Davidson Realty recently congratulated agent Mirtha Barzaga on her inclusion in The Expert Network, an invitation-only service for distinguished professionals. Mirtha has been chosen as a Distinguished Real Estate Professional™ based on peer reviews and ratings, numerous recognitions, and accomplishments achieved throughout her career. Throughout her 10-year career, she has received numerous company and industry accolades, including having been twice named a Five Star Agent by Jacksonville Magazine, Davidson Realty’s Sales and Closing Agent of the Year in 2014, and a Top Producer and Lister in 2015. “I have always been in sales and when I moved here back in 2006 to St. Augustine, the market was collapsing and I thought it would be a great time for me to get into the business and build a clientele,” Mirtha explained when asked why she pursued a real estate career. 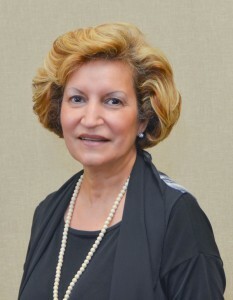 Mirtha attended Union College for Business and earned numerous industry designations, including a Graduate of the REALTOR® Institute, Certified Negotiation Expert and Certified Distressed Property Expert. She is also a member of the Northeast Florida Builder’s Association and Past President of Lions Club International. The Expert Network is an invitation-only reputation management service that is dedicated to helping professionals stand out, network and gain a competitive edge. The Expert Network selects a limited number of professionals based on their individual recognitions and history of personal excellence. Check out Mirtha’s profile on the Expert Network here: http://expertnetwork.co/members/mirtha-barzaga/256674070a7e1a29.